Sister John Ann Kulina is now 102 years young! 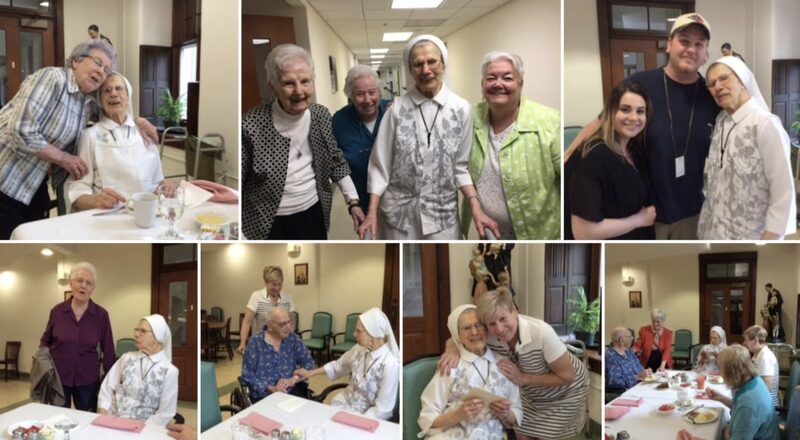 On Saturday, April 13, she celebrated with several members of her family who were at Nazareth for the weekend. Sister thoroughly enjoyed the day and appreciated all the Happy Birthday wishes and gestures of love from so many sisters, friends, as well as the nursing and dietary staffs. Sister John Ann remarked, “this is a birthday to remember”. You are a real example of God’s unconditional love. You are a real source of inspiration and joy for us SCNs dear Sister John Ann. Praying for you and rejoice with you. The SCN Community is so proud and grateful for this special lady!